We spent three days in Al Kahira (otherwise known as Cairo) which was just about enough to give us a taste of what the city has to offer. The first of those three days was spent at the two of the biggest attractions of the city viz., the Giza Pyramids and the Egyptian Museum. 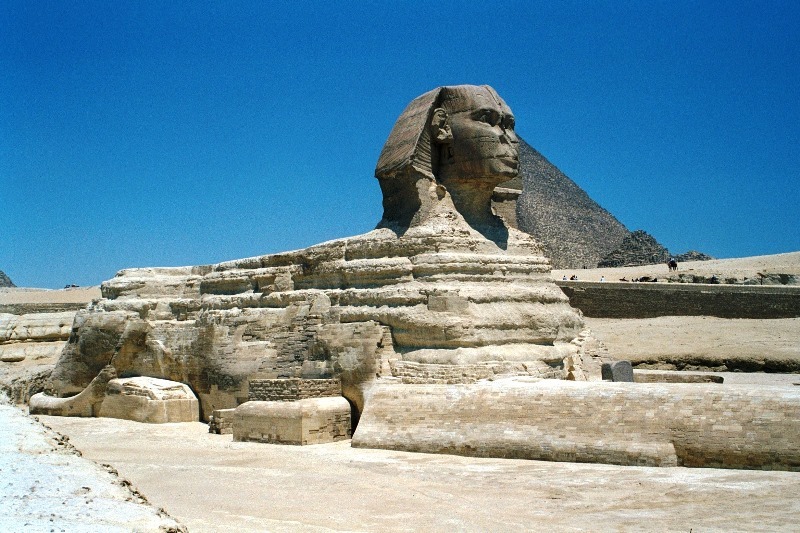 Over the centuries the pyramids seem to have become the symbol of not only the country, but of history itself. The impact of the first sight of them was pretty breathtaking to say the least. The pyramid of Khufu (Cheops), the tallest of the three Giza pyramids, is the only surviving member of the seven ancient wonders of the world and at a height of 140m, it also remained as the tallest structure in the world for over forty centuries. Our time at the site was spent going into the pyramid of Khafre (Chephren) - which involved crawling through a long dark narrow passage half the human height - looking at the 4500 year old solar boat of Khufu (currently preserved in a temperature and dust controlled museum) and driving to the nearest plateau point to get the view of all the three pyramids in one shot. And of course, no trip to the region is complete without gaping at the sphinx and visiting the valley temple of Chephren and the nearby Papyrus institute - all of which were duly completed before lunch. 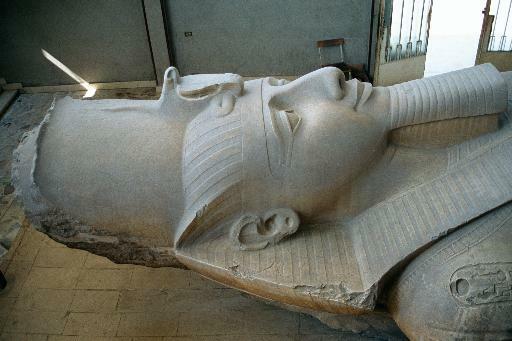 The Egyptian museum is so huge that it would take about an year to view all the exhibits. But a good guide can show you the highlights and probably teach you quite a bit of Egyptian history in less than two hours. We had a great guide, Sahar, and I probably learnt more from her in that afternoon than my month long self study prior to the trip. The highlight of the museum was definitely the Tutankhamun's section and the mummy room. 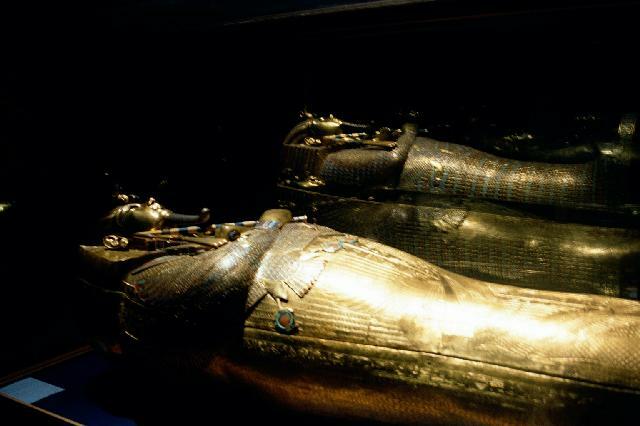 The gold collection of Tutankhamun makes one wonder how much a pharaoh like Ramesis, the great, could have carried to his grave when the least important boy king took west Africa's budget deficit with him. The mummy room, on the other hand, presents you with an unique opportunity to look at Egypt's greatest rulers centuries after they breathed their last. We had our next free day in Cairo after we returned from Sinai to complete the first leg of our three week tour. That day the three of us along with Melody, Jane and David took a trip to Saqqara and Memphis and braved the scorching heat to visit the oldest stone structure in the world - the Step Pyramid of Djozer. 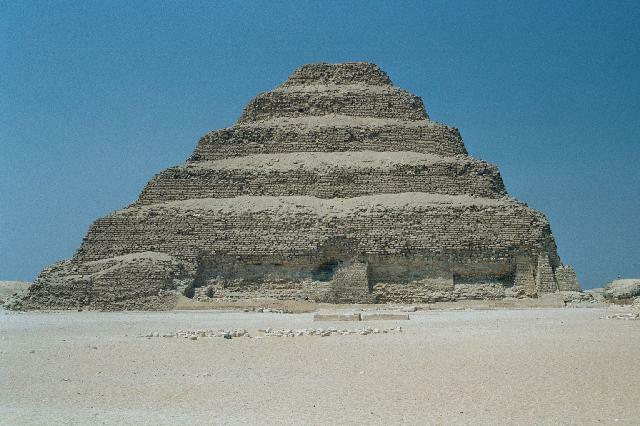 Built in 27 century BC by Imhoptep, the step pyramid is still in a very good condition. Saqqara complex also houses many other tombs, most of which are always closed for renovation or excavation. The ones which were open included the funerary complex of Djozer, the Pyramid of Teti with its famous pyramid text, and the 32 room funerary complex of his vizier, Mereruka. Memphis, the capital of the first dynasty (c. 3200 BC), contrastingly, has nothing to offer except a small museum housing a fallen statue of Ramesis II. This day was also the day when we bid farewell to half our group and the rest (the three of us and Melody) continued on to Siwa and Alexandria. The final day we spent in Cairo was also the last day of our trip. By this time our group was reduced to just three, thanks to the tummy bug which Melody managed to catch in the desert. The day started off with an hours drive to Dashur to visit Snefru's Red and Bent pyramids, the forerunners of the Giza pyramids. We all got a feel of how huge these structures are when we all walked up 100 odd steep steps to get to the entrance and walked 150 more down a 45 degree narrow incline to reach the inside of the red pyramid. The pyramid looked twice as impressive from inside as outside. 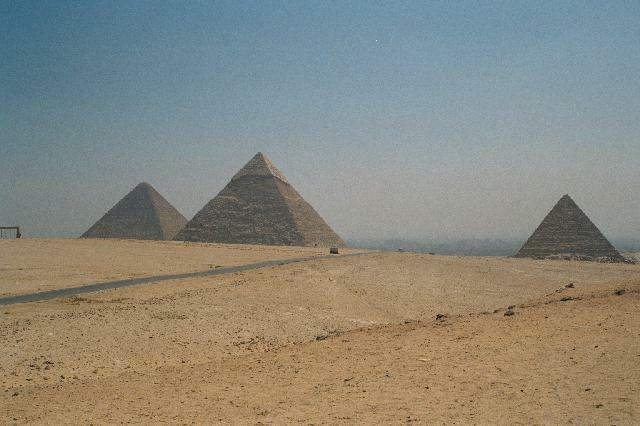 There are as many theories about the pyramids as there are self-proclaimed egyptologist. Not wanting to be left behind I have my own : going by the size of the openings found in these structures, I propose that the pyramids must surely have been built by pygmies! We spent the rest of the day visiting the Coptic Cairo and the Citadel. The Coptic Museum, which contains relics dating from the first millennium AD and the Hanging Church, a 7th century church built on top of two towers (and hence the name) were the only things from the Coptic region which fit into our itinerary. The Citadel is the site of the famous Mohammed Ali mosque, built in 1830s as a scaled down replica of the blue mosque in Istanbul. It also houses the Mohammed Ali's palace where the host murdered 40 Mameluke chiefs to start a new dynasty. In the night, we had to choose between the sound and light show at the pyramids and a belly dance display. Like any self-respecting gentleman would have done, we chose the latter. We were very close to kicking ourselves when the best belly dancer turned out to be Aravind, when he was pulled in for a few seconds to add some interest to the proceedings. The whole event would have become a fiasco but for a male dancer who with his amazing spinning skills kept everyone captivated for better part of an hour. Thanks to one of the visitors of the page, Dianne Horvath, I later learnt that this "spinning guy" does have a title: "Whirling Devrish"!! Click here for more photos from Cairo, Giza, Saqqara and Memphis.